Stress can mean different things to different people. Some people experience stress with symptoms such as heart palpitations, sweating or knots in their stomach. Others may experience it with constant thoughts or worries going through their head – they just can’t switch off. Others may be ‘wired but tired’ where they are mentally or physically on the go all the time but just feel exhausted- they are only surviving on their body’s stress response. No matter how you experience stress your body will physiologically react the same way through its release of the stress hormone, cortisol. In response to a stressor, such as work deadlines or financial issues, our body activates ‘fight or flight’. As you can imagine, stress is a high energy demand on the body and if this continues to happen long term you may begin to see wide spread health effects. Here are just a few examples of cortisol and what the stress response can do within the body. Stress and elevated cortisol are key factors for insomnia as cortisol enhances alertness and alters the body’s natural circadian rhythm. Furthermore, elevated cortisol from prolonged stress can influence levels of other neurochemicals such as serotonin, melatonin, dopamine and GABA, which are all involved in mood regulation and circadian rhythm. Not only does stress affect sleep which can contribute to fatigue but constant stress can deplete nutrients which are needed for energy production. If stress becomes constant, it may also move into a form of adrenal fatigue. When cortisol is high it signals the body to increase our available blood glucose to support our ‘fight or flight’ response. This can lead to blood sugar swings, cravings, drops in energy, weight gain, difficulty concentrating and sleeplessness. 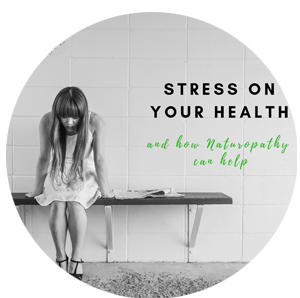 When we stressed they body views digestion as a non-important task and therefore reduces blood flow and digestive secretions to our digestive organs. This can cause indigestion and lack of absorption from our foods. 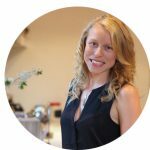 Furthermore, studies have found that cortisol can reduce our beneficial gut flora as well as certain immune cells within our gut – both of which can have detrimental affects to our whole digestive system (and beyond). Stress naturally reduces our body’s production of white blood cells, which may make you more susceptible to infections. Furthermore, many nutrients may become deplete with chronic stress, including Vitamin C and Zinc which are needed for white blood cell production and function. When we activate our stress response it can affect other responses within the body, including female hormones and the signalling/hormone release from the brain to the ovaries. This may result in changes of your menstrual cycle or ovulation. Cortisol has been found to not only decrease our pain tolerance but also increase pain ratings. This can include joint pain, muscle pain and period pain. DO YOU EXPERIENCE ANY OF THESE ABOVE ISSUES? If so, then you need to address your stress. The first step is to acknowledge you are stressed and that you want to do something about it. From here we can look at ways to reduce your stress response. Here are a just a few ideas on what you can do on a daily basis to reduce your feelings of stress. 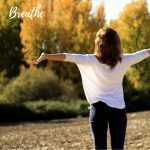 It might sound obvious, but taking the time to do a deep belly breathe can actually reduce cortisol. Research has found that when we are anxious we tend to over-breathe it can cause fatigue, brain fog, low mood, poor concentration and worse of all continue to drive our stress response. 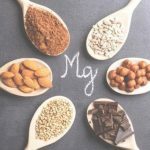 Magnesium is an important cofactor needed for neurotransmitter synthesis and healthy adrenal function. Magnesium also tends to be depleted in those who are chronically stressed due to increased excretion and utilisation. Feelings of stress often arise from thinking about the past or imaging the future, so just by living in the present you can put those thoughts aside and focus on yourself in this moment. You can start to be present by simply taking a few minutes each day to close your eyes and just listen to what is around you. You will find that you naturally slow your breathing down and feel recharged. Something as simple as just chewing has been found to reduce salivary cortisol and increase oxygen to the brain. Furthermore, when we are in ‘digestion’ mode our body is also in relaxation mode. 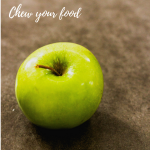 This is also important to remember when we are eating as sitting down at the table to chew your food can help relaxation and also digestion. 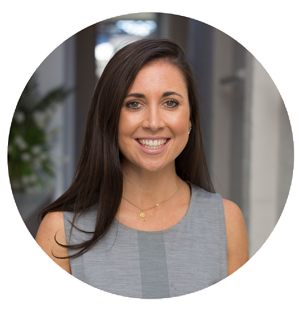 Then book in to see Kirsty Richardson, our resident Naturopath. She will take the time to listen to what is going on and find ways to make the biggest difference to your health. This might involve a combination of evidence based herbal or nutritional medicine as well as diet or lifestyle advice. But, whatever you do- don’t ignore your stress. Act on it now and you will feel the difference. Kirsty is available every Thursday 2:30PM – 8PM and Saturday 9AM-2PM at the Sum of Us Studios.